Newly opened bankcard volumes increased for the third consecutive quarter in Q3 2010 to 9.8 million new cards – an 11 percent increase over the previous quarter. While new bankcard volumes are on the rise, the number of outstanding bankcard accounts decreased during the same time period. 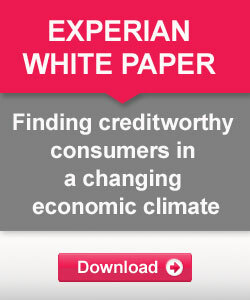 To learn more, click here to view a webinar on Unique insights on consumer credit trends – highlights from 2010 and the Q4 2010 Experian-Oliver Wyman Market Intelligence Report.